Improvements made through process changes are only as successful as the people working to making those changes. Labor standards - more specifically, engineered labor standards - provide an accurate measure of how employees perform against the norm. 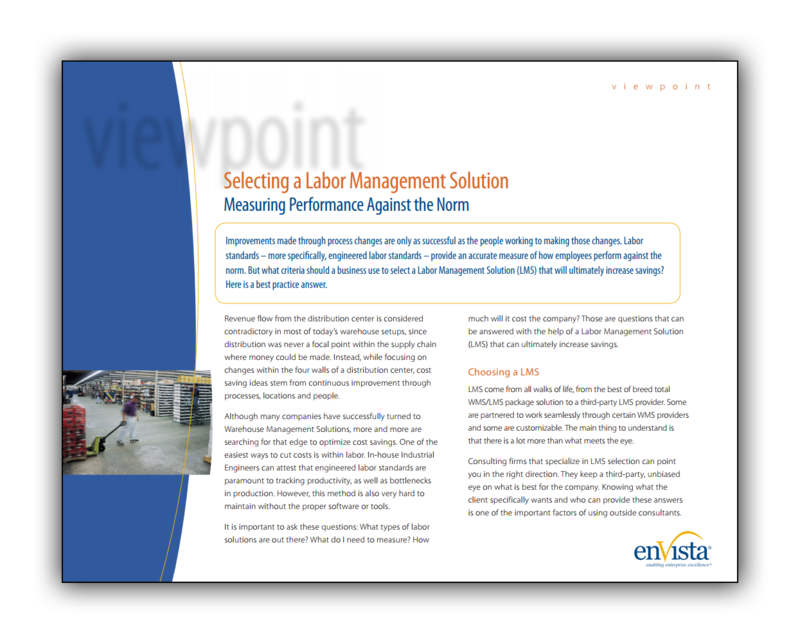 But what criteria should a business use to select a Labor Management System (LMS) that will ultimately increase savings?